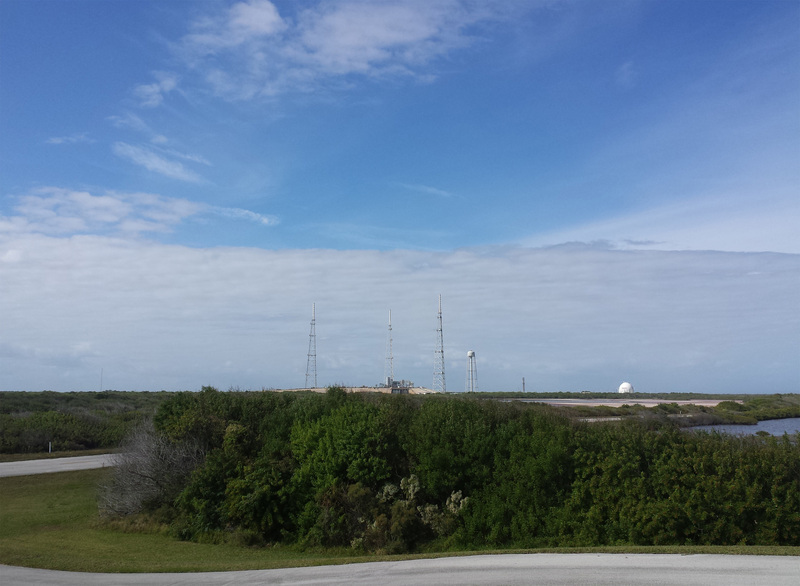 3 lightning towers designed to direct bolts away from the launch pad that they surround. 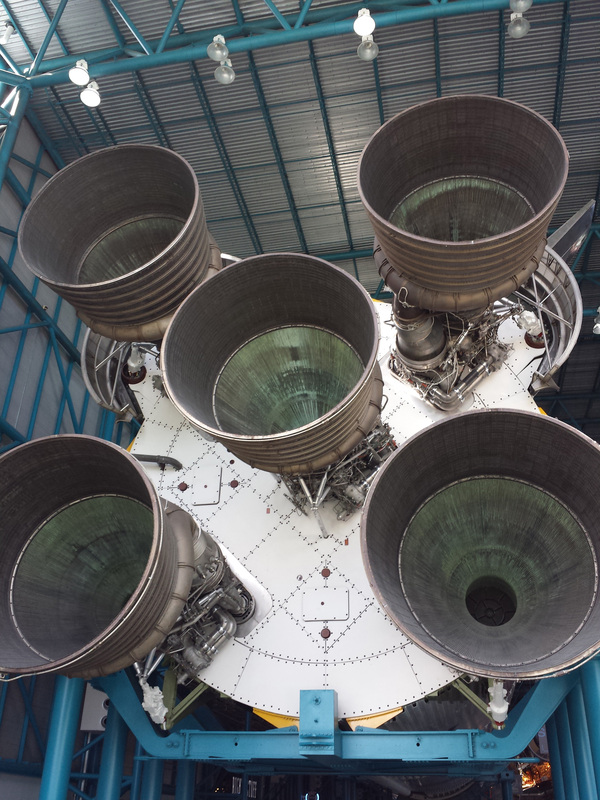 The business end of a decomissioned Saturn 5. Walking the length of this rocket takes minutes! 20 tons of fuel per minute would flow through here. 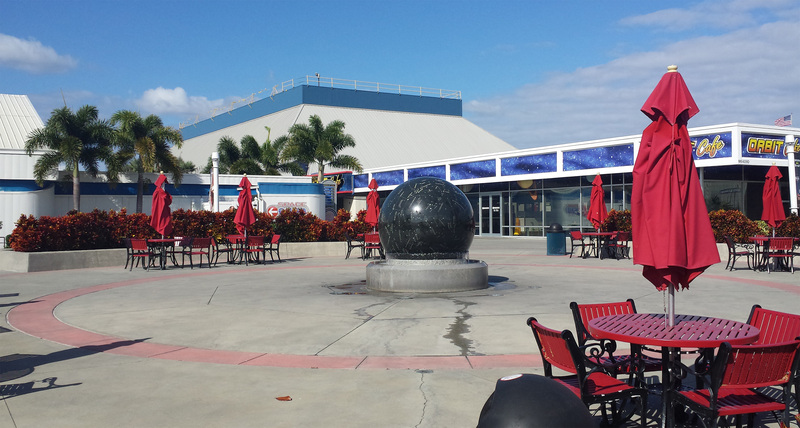 Looking out into the Atlantic, one of the main launch platforms would have been behind me. 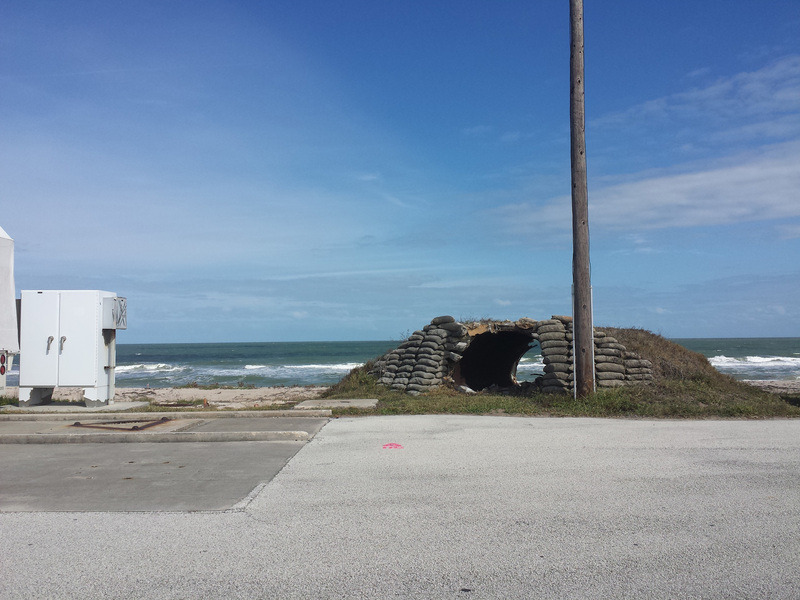 According to our guide this little bunker was used to house sensitive equipment for detecting electricity in the air, as lightning is a grave threat to launches. 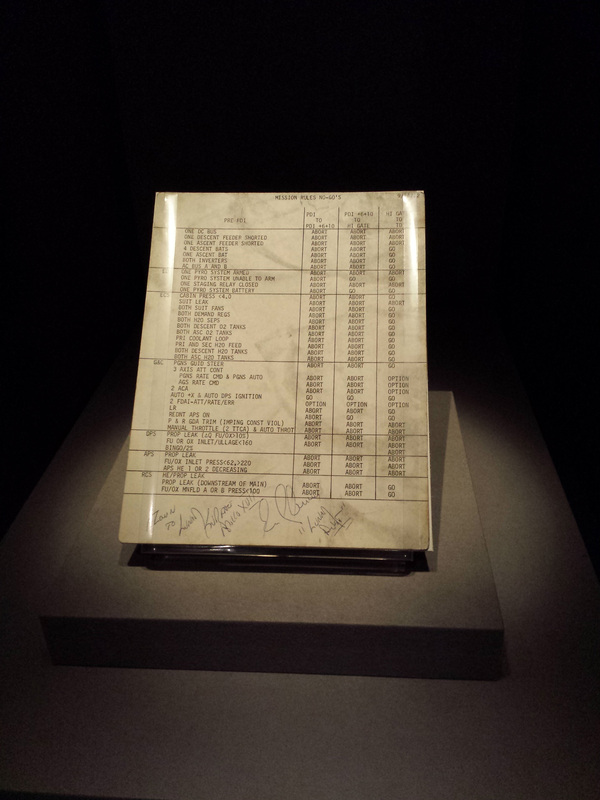 A list of mission status and abort codes from the Apollo era. View full size to read it.